Allie's Performix SST Review: Pretty Pills But Do They Work? As you know from reading my StrongGirl and Stance reviews, I’ve been on vacation for roughly two weeks now. And as my days in the sun dwindle down, I’m starting to re-focus myself towards my fitness and physique goals. I feel like with the help of various fat burners and pre workouts and protein supplements I DID manage to get in respectable shape for my vacation. But nearly 15 days of not-so-clean eating, drinking, and not really that much sleep have brought me back down to a much more modest physique. It never fails to amaze me how easy it is to get out of shape after spending so long to get in it. And let me tell you I was IN shape. I had my abs finally looking the way that I had envisioned them, with good definition all around from top to bottom, and side to side. Even my serrates and obliques were showing. I mean I was really good and ripped. Don’t get me wrong, I had an amazing vacation, and my fitties made it that much better- but boy was I ready to get back on my horse and get back to where I wanted to be. If not even better than before! I was hoping that Performix SST was the product that could help me build my Summer Body 2.0. So how does this fat burner perform? Here is my Performix SST performance grade. You definitely do get a burst of energy from this diet pill. I took SST as prescribed in the morning, first thing when i woke up. Almost immediately after taking this supplement you notice a pronounced response in terms of energy and alertness. While I am starting to be able to function on slightly less sleep than I am used to- I still do NOT consider myself a morning person by any stretch of the imagination. But when I took my two little blue beadlet SST pills, I did feel incredibly energized and ready to take on the day. I think this product is therefore really amazing for someone who needs that extra boost of energy to get them started, however I don’t know if it’s really compatible with a coffee habit such as I have. Another thing that you have to consider is that if you take a pre workout supplement you are going to be getting a good dosage of caffeine in that, so taking SST is going to put your daily intake up around 500 mg - which is a little too high in my personal opinion. But on non-training days I would actually take an extra half dose of SST in the afternoon to help me focus in to study for finals. The second effect that I want to point out is not as much related to the performance and more something that I want you to be aware of. I found that taking it about a half hour before breakfast was giving me the best results in terms of fat burning result. A word of caution if you do it this way though. You are NOT going to be very hungry for breakfast. This is probably the only thing I would bring up if you asked me to describe any side effects of Performix SST. The ability of this product to blunt your appetite is significant. I usually like to eat a large breakfast high in protein and carbs because I workout in the mid-late morning. That being the case, a high energy meal first thing in the morning gives me the perfect fuel mix to perform at my best. The first day that I took SST, I literally almost forgot to eat breakfast because my body and mind were not hungry in the least! Even when I did finally eat something, it was not my usual quantity. That led to a sub-par workout later in the morning simply because I didn’t have the same amount of fuel in my system that I am used to. The third and final effect that I want to touch on is how this product works as a fat burner. I took it for two weeks and lost a total of about 2.5 pounds. This isn’t the most dramatic result that I’ve had from a diet pill, but it also wasn’t the worst. I guess I was expecting just a little bit more from SST just because I was coming off a pretty significant vacation filled with lots of food and not much training. I really thought that the combination of having all that extra energy, and getting back on track with my workouts, would really allow me to accelerate my results. By the end of the two week run I was definitely leaner, and more muscular looking than when I started, but again, just a little underwhelmed. If you’ve taken fat burners before you might have the same experience. Now let’s have a look at the formula and see what’s going on under the hood of Performix SST. Performs is a product that is built on packaging. Yes, it has a pretty impressive formula. But the reason why this product succeeds is because it’s marketed and branded beautifully. Every product you see on the shelf has a differentiator behind it. A differentiator is the aspect of that product that makes it different from all the others, and is therefore worth YOUR money. That’s how they compete for you. Some compete on cost, and bank on the fact that you want to spend as little amount of money possible. Some compete with plain old better, or superior products- appealing to the princess in all of us that wants the BEST product on the market. And then often times companies compete with branding and packaging- trying to elicit that emotional response from you that will make you pull the trigger and buy. Performix is one of these companies. The black secondary packaging (what we call the box that the actual jar comes in) is very rich and upscale. They focus on the unique nature of the pills themselves to sell you the product. The main graphic is the pill itself so that you can see the blue beadlets and how they are suspended within the pill itself. I give them credit for this - it IS a really cool looking pill. The black and blue (or should I say white and gold ;) ) color scheme does an awesome job accentuating these pills, and helps you make the buying decision that much easier. 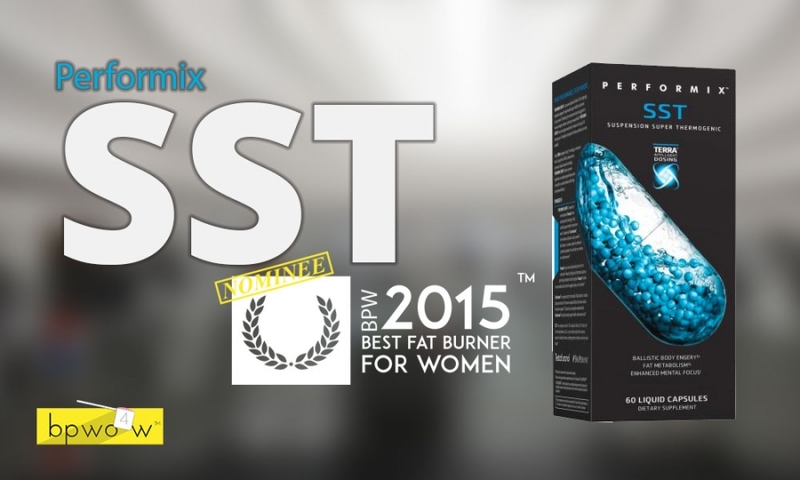 Performix did a really impressive job in every element of this product management process, and I truly think that’s why SST is poised to become a superstar in the fat burning vertical.